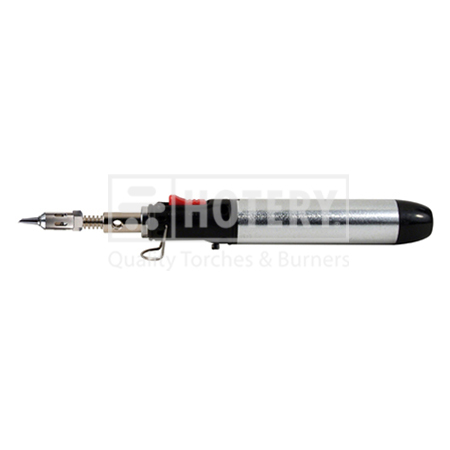 We specialize in offering a variety of Pencil Torch.We endeavor to the leader in the industry with years of experience in manufacturer, supplier and exporter product in Taiwan. We offer customized solutions to our clients to meet their specific needs and demands. We also ensure that our machines are expertly designed to suit the varied requirements of individual applications. 2. Torch with soldering tip. 4. Design for jewelry manufacturing and repair, fine industrial applications, hard-to-reach areas, and all soldering tasks that require precision. Operation time for one time refill: around 30min. of highly qualified and experience professional the company thrives to deliver the best of quality at the most affordable cost. Going forward, we pledge to give our best in terms of value and customer satisfaction.